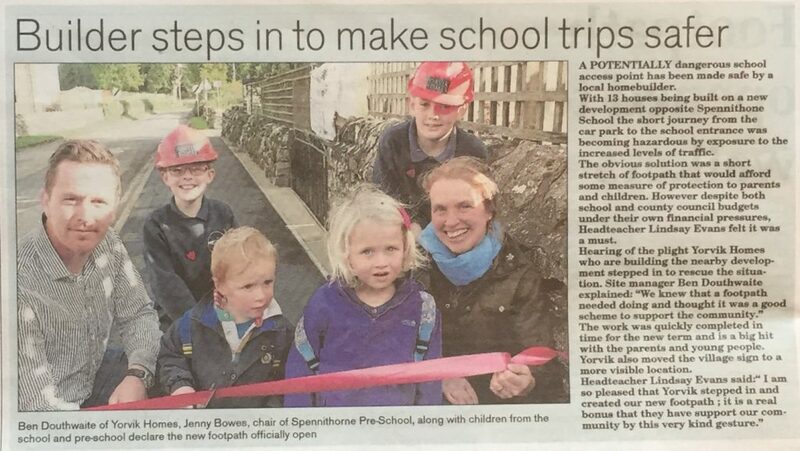 We have recently opened and installed a new footpath leading from Spennithorne Pre-School car park to the school entrance. It was brought to our attention that the Pre-School situated opposite our ‘The Meadows’ development in Spennithorne, was without a footpath for the children to get to and from the school entrance safely and we wanted to create a safer journey for both them and their parents. It is a pleasure to support the local community and we hope that these changes improve the daily school run.